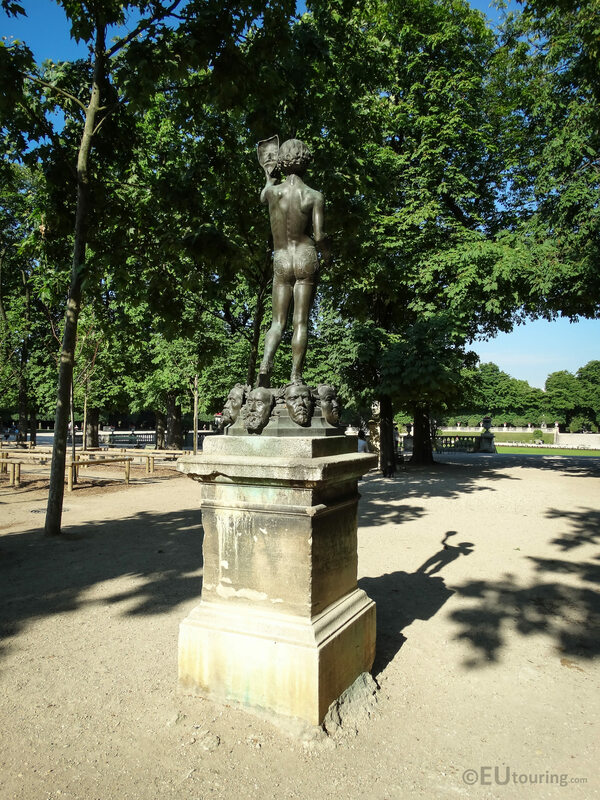 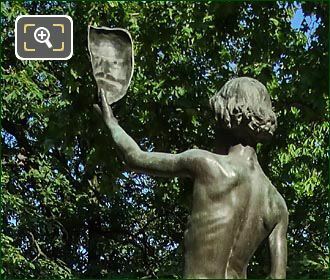 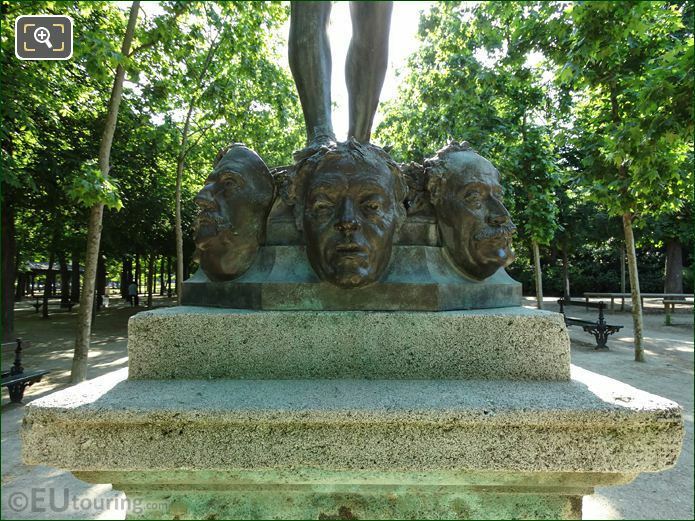 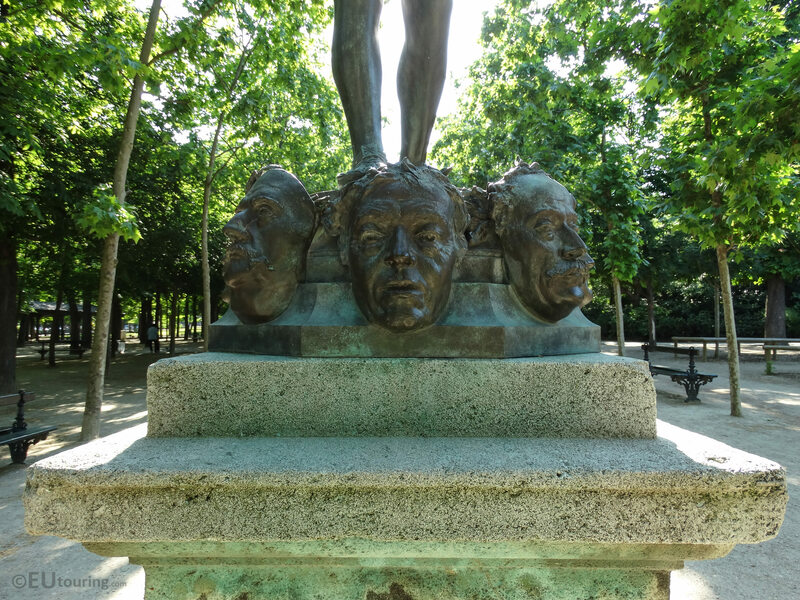 While we were in the popular tourist attraction of the Jardin du Luxembourg located in the 6th Arrondissement of Paris, we took these high definition photos of a bronze statue called Le Marchand de Masques by Zacharie Astruc. 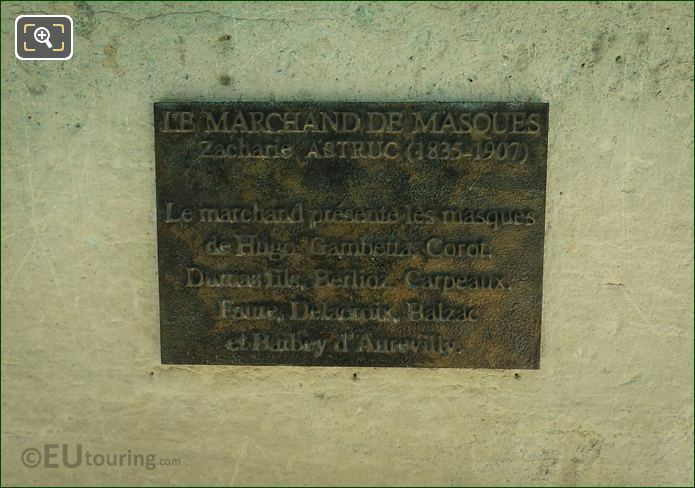 This first HD photo shows the full bronze statue on top of its stone pedestal base, and measuring a height of 2 metres it is called Le Marchand de Masques, which translates in English to The Merchant of Masks, or the Mask Seller, and these masks portray different artists. Now this photograph shows the back of the statue and on the base there are different masks that represent Corot, Dumas, Berlioz, Carpeaux, Faure, Delacroix, Balzac and Barbey d'Aurevilly, and in the left hand of the young boy is a mask of Victor Hugo, who was a famous French poet, dramatist and novelist. 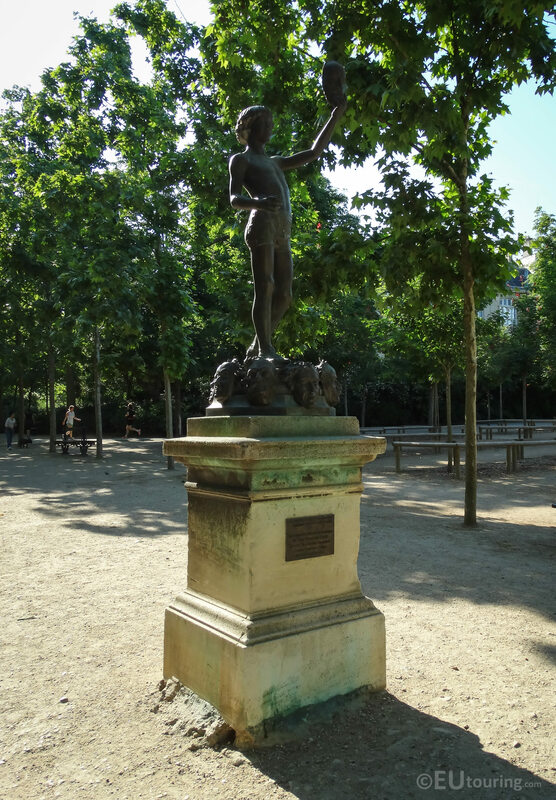 So this unusual bronze statue was produced by Zacharie Astruc who was born in Angers in February 1833 and becoming a French painter, sculptor, poet and art critic, he had a diverse cultural aspect to his career and was friends with Edouard Manet among others, prior to passing away in Paris in 1907. 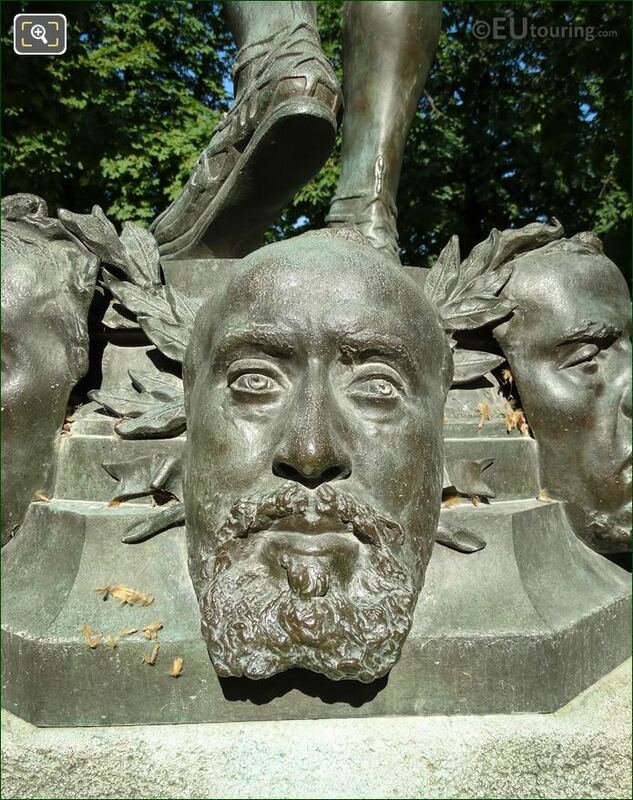 And in this image you can see the right hand side of the statue, and on the wrist of the right arm there were originally three additional masks that hung, which depicted Gambetta, Gounod and Theodore de Banville, but unfortunately these have long since gone. 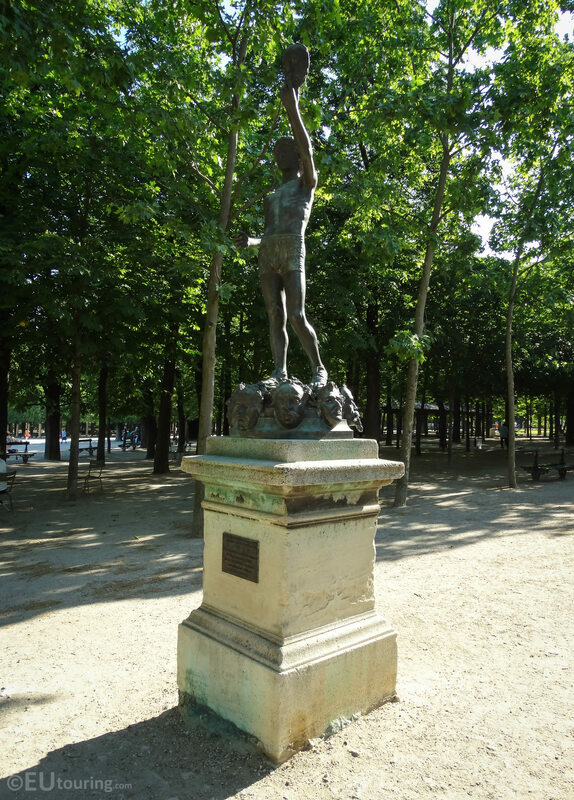 Now this statue was originally produced in plaster, and by virtue of a ministerial decision dated 17th February 1883, the acquisition of the plaster model and control of bronze were made by the French State. 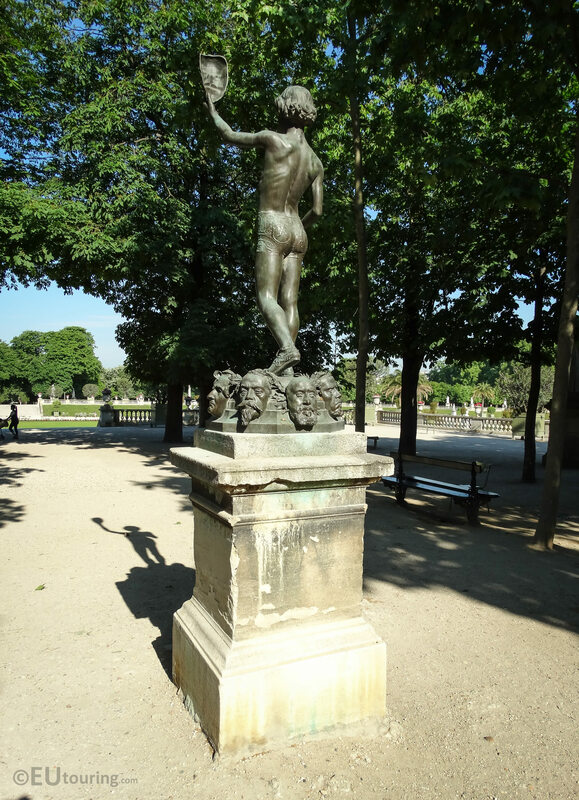 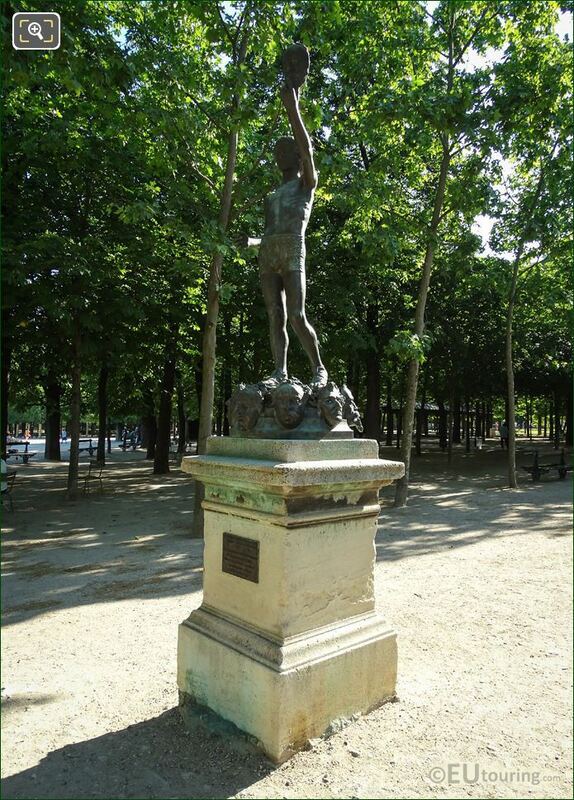 Then, the statue you can see here was cast in bronze, and this work by Zacharie Astruc was assigned to the Jardin du Luxembourg through an order dated 20th November 1886. 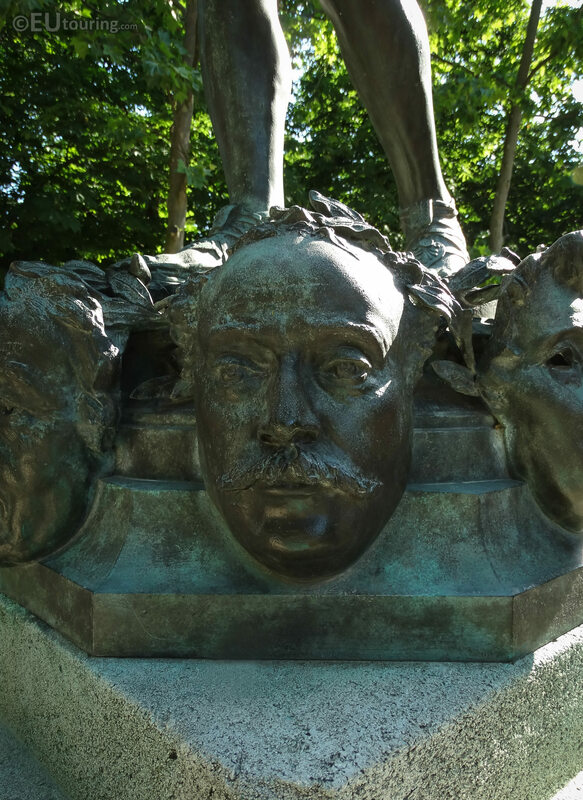 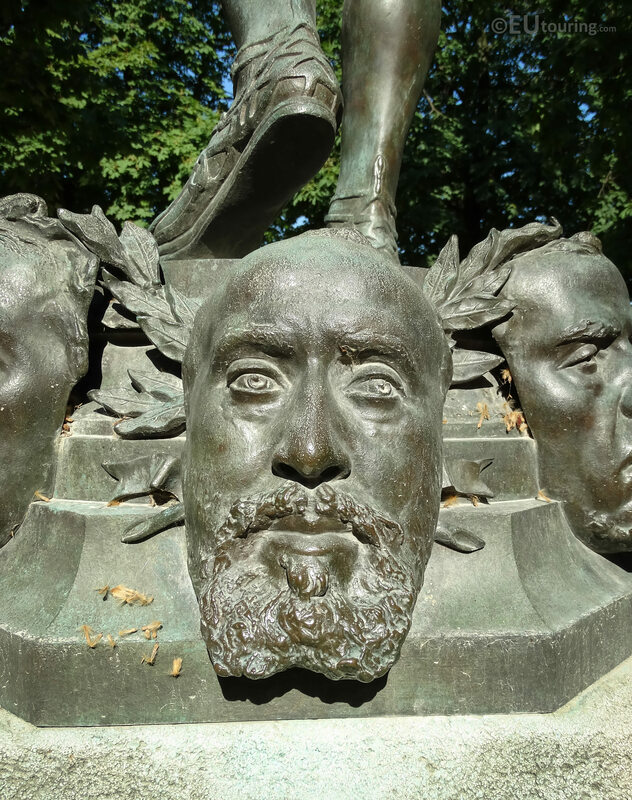 This next photo shows a close up of the mask depicting Jean Baptiste Carpeaux, who was a French painter and sculptor during the Second Empire and born in May 1827, he passed away in 1875, who is most famous for the fountain with its globe called the Fontaine de l'Observatoire. 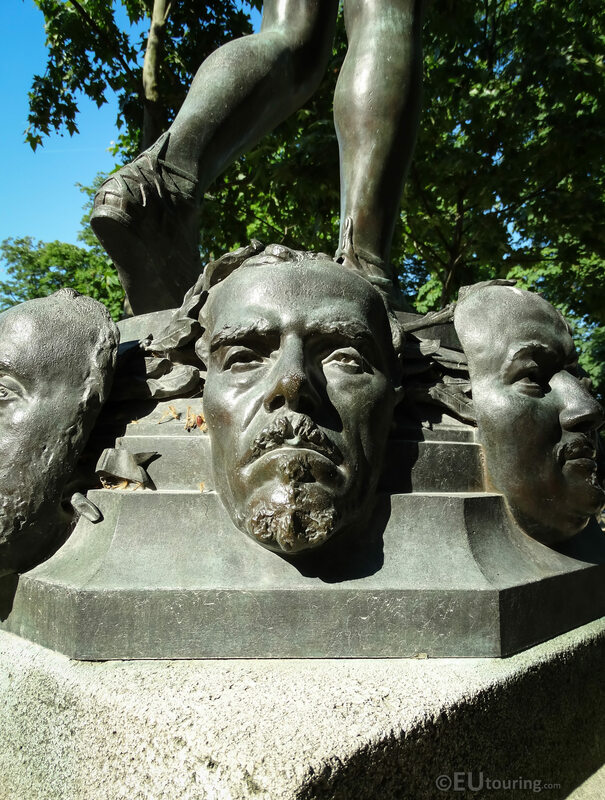 Here you can see a close up HD photo showing the mask that depicts Eugene Delacroix, who was born Ferdinand Victor Eugene Delacrois in April 1798, and becoming a painter, he is regarded as the leader of the French Romantic movement in artists of his time. 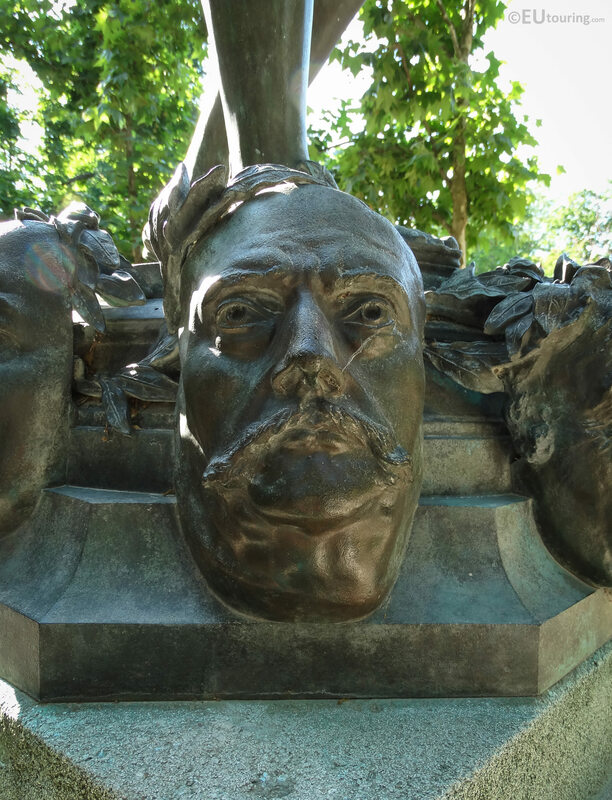 And this mask depicts Jean-Baptiste Faure, who was born in January 1830 and from being a choir boy, later he entered the Paris Conservatory and ended becoming a celebrated French operatic baritone performing at numerous opera houses in Paris and abroad, plus he wrote books on singing and taught at the Conservatoire where he had once studied. 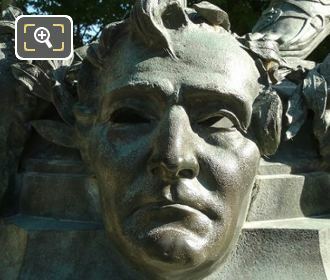 Now this mask on Le Marchand de Masques was created to depict Hector Berlioz who was born in December 1803 becoming one of the great French composers, and is classed as ahead of his time he contributed to the style of the modern orchestra, conducting many concerts that had several hundred musicians, and as such became recognised as one of the great conductors as well. 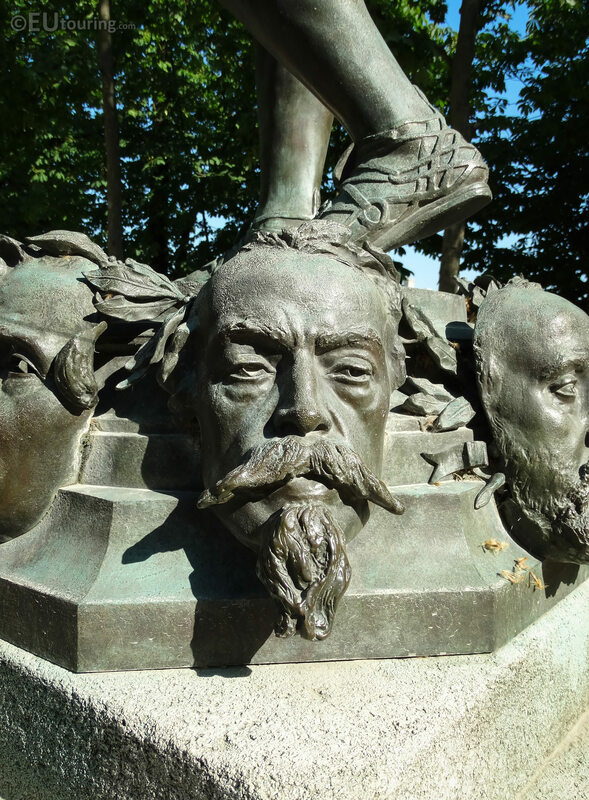 Yet this close up of another mask on The Merchant of Masks depicts Jules Barbey d'Aurevilly, who was born in November 1808 and became a French novelist, specialising in mystery stories, and ended up influencing people such as Marcel Proust. 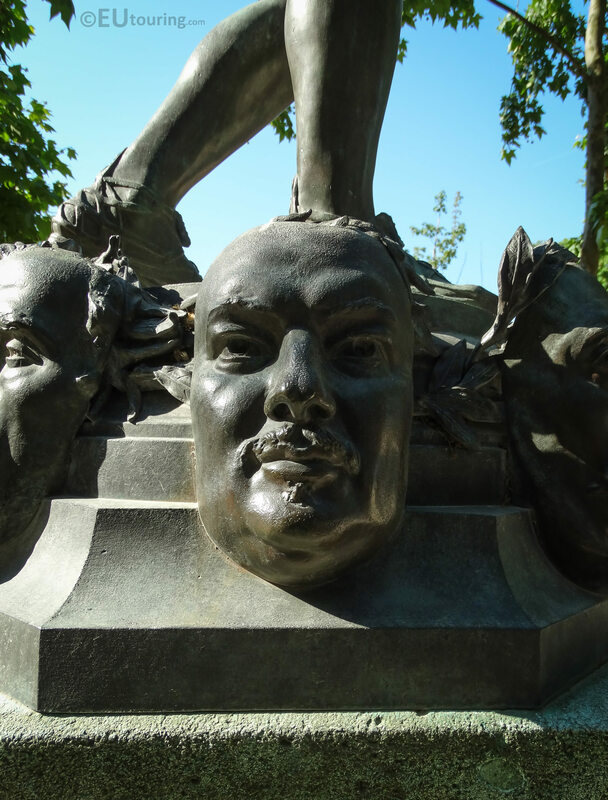 Now this mask depicts Honore de Balzac who was also a French novelist and a playwright who was born in 1799, and he is regarded as the founder of realism in European literature due to his accurate observations and interpretations of life and society and being able to relate different circumstances of his own experiences in his writings, which again influenced many other people. 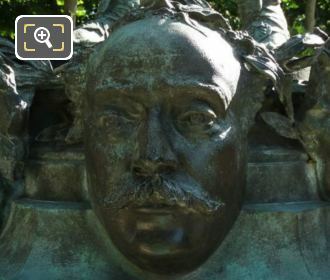 And this mask represents Alexandre Dumas, who was born in 1802 and becoming a French writer, his works have been translated into over 100 different languages, making him one of the most widely read of all French authors, and he is now interred in The Pantheon in Paris. 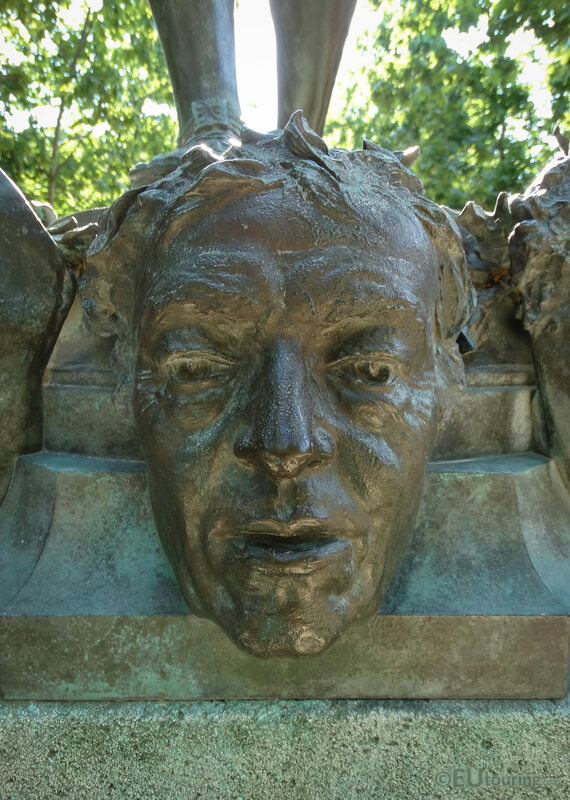 So this last close up HD photo of a mask on the base of Le Marchand de Masques depicts Jean Baptiste Corot who was born in July 1796 and became a renowned landscape and portrait painter, so much so, that thousands of forgeries have been made and circulated on numerous different works. 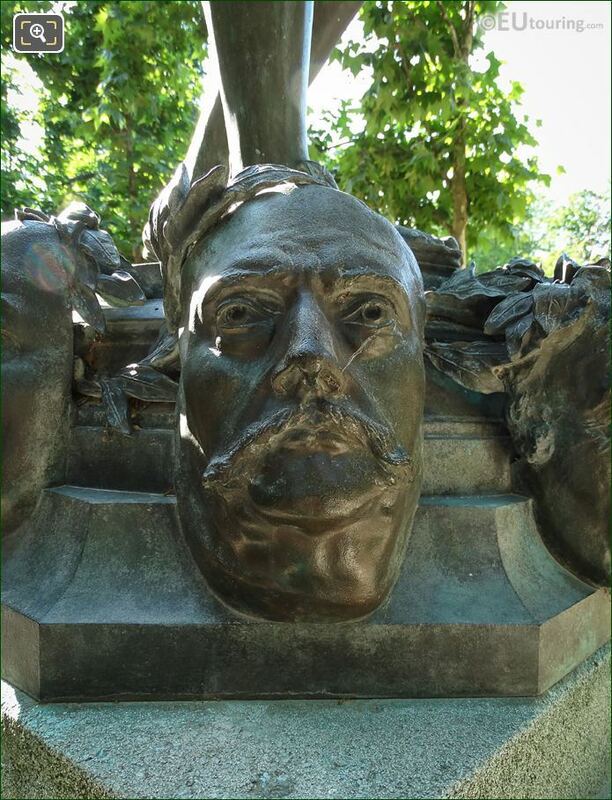 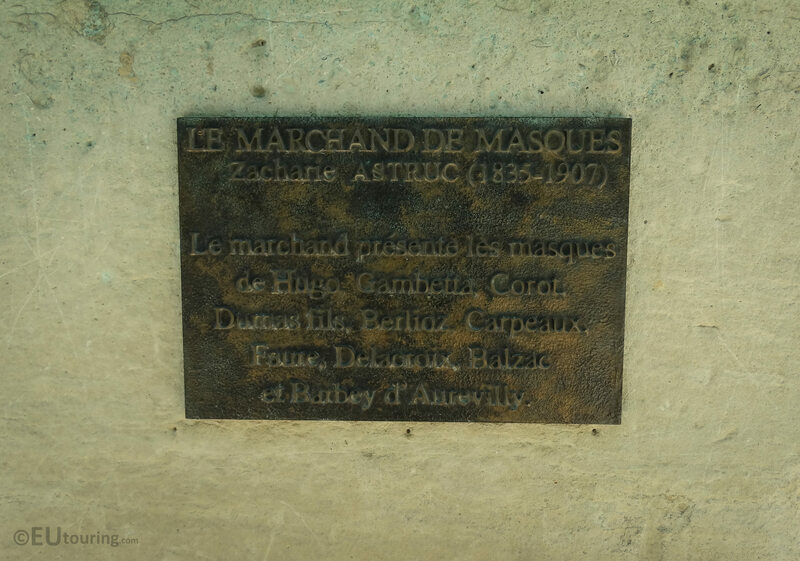 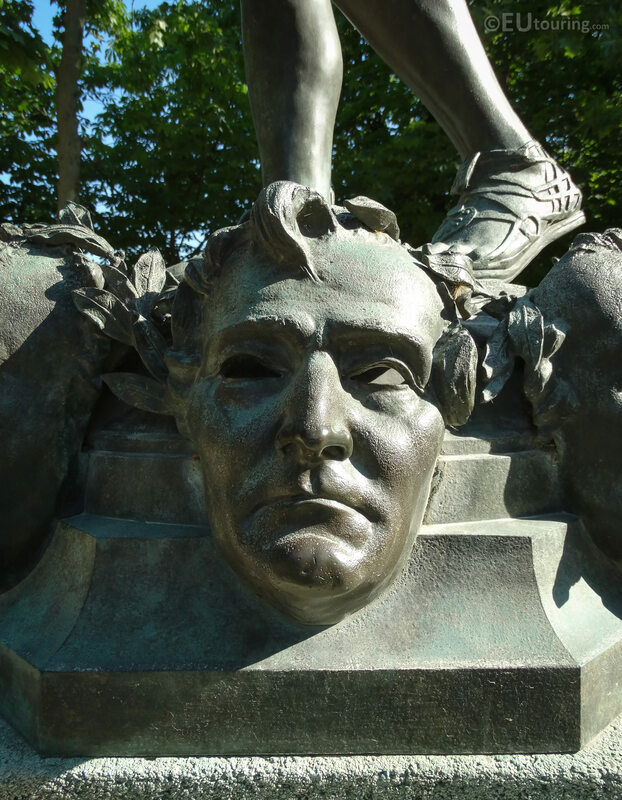 But this last photo shows a close up of the bronze plaque that is located on the pedestal of the statue, which as you can tell, states the name of Le Marchand de Masques and the name of the artist Zacharie Astruc, and following this it states who the masks represent. 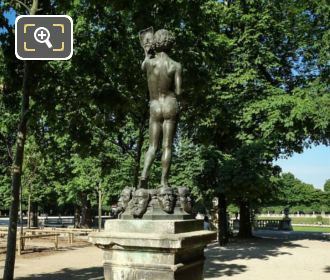 And to give you an idea of its location within the Luxembourg Gardens, this is situated on the south east side of the garden close to the terrace, which is to the right hand side if you are looking towards the Palais du Luxembourg.